The team at Roadways Removals will get your belongings there safely. Rockhampton is a city in the Rockhampton Region, Queensland, Australia. 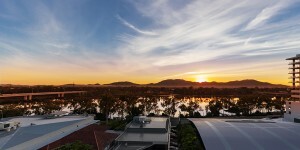 Rockhampton hosts a significant number of governmental, community and major business administrative offices for the central, coastal part of the state. It is considered as a tourist attraction because of the abundance of outdoor activities. Roadways Removals are professional Rockhampton removalists specialising in interstate removals and is the favoured interstate furniture removals company choice in Rockhampton. Start your moving journey with us today by getting a quick online quote or call us on 1300 799 902. If your final destination is Rockhampton, then we’ll take you there. However, if you’re choosing to move interstate from Rockhampton we service major Australian cities. We also often run backloading removalists to and from these locations, so if you’re not fussed when you move you can take advantage of these discounted prices. Call us on 1300 799 902 for a comprehensive quote or to discuss the pre-moving and other interstate removalists services we provide to or from Rockhampton today. For the highest Quality Rockhampton removalists, contact us today.